When opting for the self-employment route and starting up your own business, the chances are that the tax aspect won’t come naturally. You may be asking yourself some questions: how do I pay my tax without an employer taking it from my wage? Or is there any way I am able to make savings on my tax return? Don’t worry about your finances, GoSimpleTax has covered everything you need to know in our tax for start-ups guide. The first step would be to let HMRC know you’re self-employed, and for this you will need to register as a sole trader. The quickest way to register is online directly with HMRC here. Many people start out as a sole trader, as the accountancy responsibilities are a lot less than a limited company or partnership. As a sole trader, you’ll have to submit a self-assessment tax return, for which you will need your Unique Taxpayer Reference (UTR). You will also have to ensure you keep track of all sole trader income and any expenses. This can be done manually with a book, a spreadsheet or using simple software to keep on top of things. When you have registered with HMRC, you’ll automatically receive a UTR which is your 10-digit reference number. You will need this to file your self-assessment tax return every year. If you do not already have a UTR then it can take up to 10 days to arrive. If you have an existing UTR then you’ll be able to find it on previous correspondence from HMRC. We would always recommend separating your personal and business affairs, so a dedicated business bank account is always a worthy consideration. The type of business bank account you’ll need will depend upon certain factors, which includes your bank. They’ll likely have a diverse range of accounts for all sorts of different businesses, like ones of a particular size and annual turnover. The best choice for a business bank account would be to opt for a bank that specialises in start-ups like you. Many of the new challenger banks offer a quick streamlined way of opening a new business bank account, many can be opened the same day. Take your time to look around. It’s important to keep track of when you need to submit the required data to HMRC, as missing deadlines can result in penalties. Anyone who has become self-employed will need to complete and submit a Self-Assessment tax return. Making your payment on account, you’ll do the first instalment of your tax bill is due 31st January, the second payment is due 31st July. When you’re earning outside of PAYE, your tax isn’t deduced from your wages, the earnings will go into your account and you’ll have to submit a tax return. It’s a good idea to put money away monthly from your income to pay any tax liabilities. This helps avoid any nasty surprises. In your first year of self-employment, it will be difficult to know how much to put aside for tax, but a start would be 20%. As the business becomes more established, you will be able to gain a better understanding of how much you need to set aside each month. 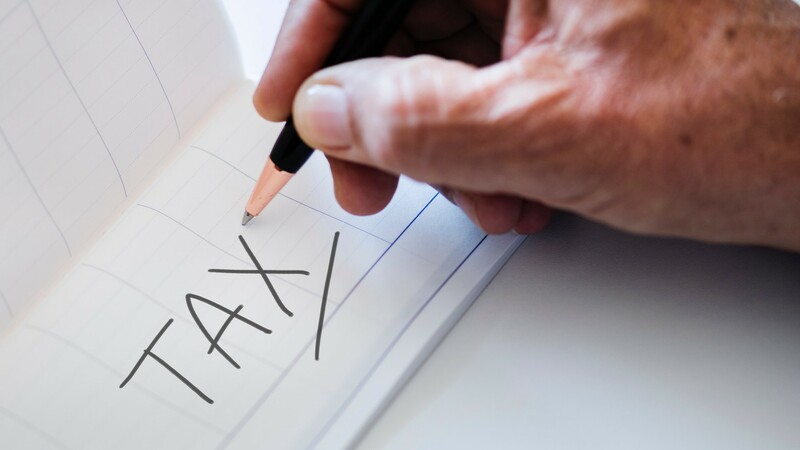 It’s important that you ensure you set aside money when it comes to paying your tax, failure to pay your taxes on time can lead to interest charges and penalties from HMRC. The main way to have the real-time amount of the tax you owe throughout the year is to keep track of what you’re spending and receiving. You’ll need to keep track of all your accounts, you’ll have to ensure everything is kept including receipts for expenses. This will be made much simpler and quicker to do when you have tax software to instantly submit the data to. Bookkeeping software such as GoSimpleTax can analyse any data you input, it can also work out the calculations for you and will provide tax-savings suggestions and tips along the way, saving you money throughout. More on sole trader tax and sole trader account and bookkeeping.